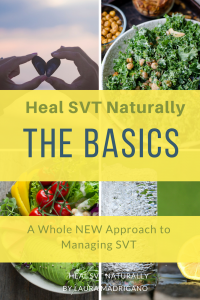 Heal SVT Naturally: THE BASICS. 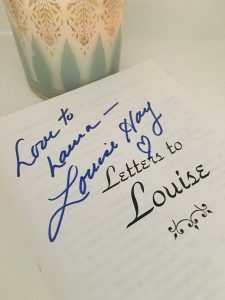 I want to tell you about this guide, what is in it, and what to expect from it so that you know if the guide is for you. This is e-guide that I WISH existed when I was at the beginning of my SVT journey. People that want to get a full understanding of their SVT from an integrative perspective; Why they have it, what the healing stages of SVT are, what the root contributors are, are what integrative healing is. People that are new to Healing SVT Naturally and at the beginning of their SVT research. People who have had SVT for a while but are new to learning about how to Heal SVT Naturally. People who want to learn about an integrative approach; what that means and how to do it. People who want the full picture, the WHOLE picture to SVT; traditional viewpoints, and integrative viewpoints. People who are not really satisfied with their medication, side effects, have had failed ablation or just want to learn about a more natural approach. People that don’t really want to go on medication or have ablation but are not sure and want to get a better understanding of everything so that they can make fully informed decisions. People that are interested in healing their SVT naturally and are not sure what that means and what it entails. People who want to TRUST themselves more and not count solely on their doctor to change their health. People are ready to take more control of their own health and need support and direction. People who want more than Traditional Cardiology, who feel like their doctors are not helping them with their whole health. Ways to stop an acute SVT episode. Root contributors to SVT and their impact on the entire body. The importance of food tracking as a tool. The benefits of long-term SVT prevention. 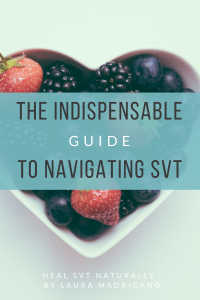 How to shift your view and see SVT as an opportunity to assess the quality of your overall health and happiness. The differences between traditional cardiology and an integrative healing approach. Insights from my personal healing journey and how you can relate it back to your own experiences. Action steps that you can begin to take right now that support the Healing Stages of SVT. 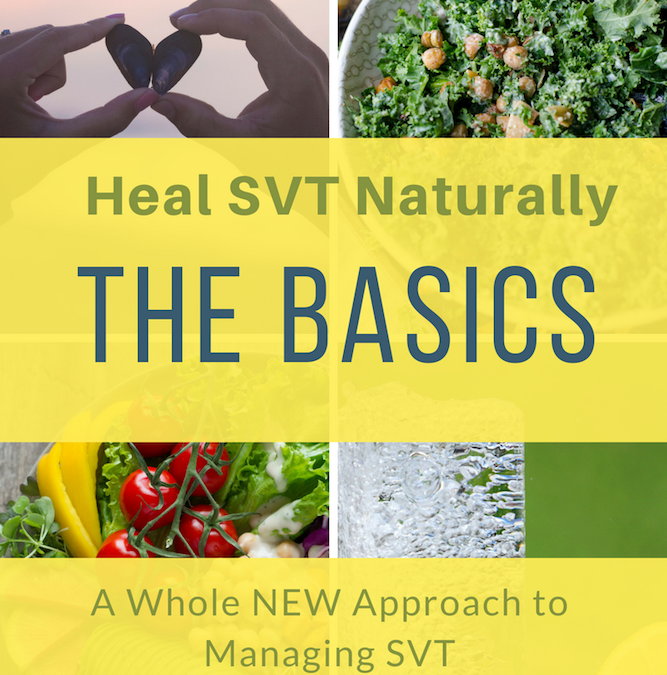 An introduction to the Heal SVT Naturally Approach. Information on the new on-line course that I am designing to help people who are interested in being guided through deep stages of healing.